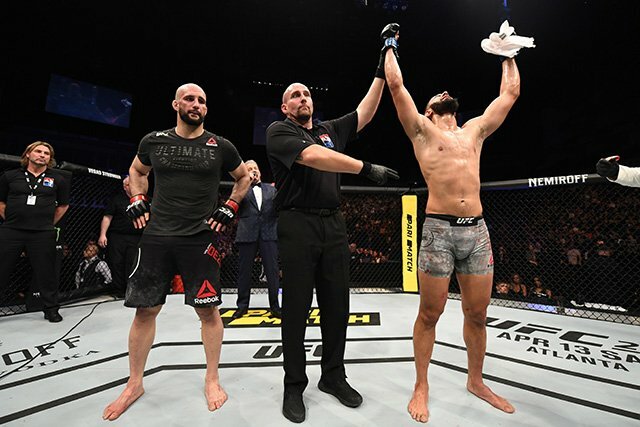 he first time I watched the bout between Volkan Oezdemir and Dominick Reyes at UFC Fight Night 147 on Saturday in London, I heard it more than I saw it. The fights aired at a weird hour of the night where I live, so I dozed in and out of sleep while the fight unfolded. When I woke up, I was surprised to see that Reyes had won. Based on what I saw — the first round, basically — and what I heard from the commentators, it sounded like a hard-fought yet clear win for Oezdemir. I figured the judges must have blown it on some level; such is the influence of commentary. Re-watching the fight attentively, however, vindicated the final decision.